When you think of a woman giving birth, what do you imagine? Is it a woman lying on a bed, legs spread? It might well be, because that's what TV and films would have us believe is the best labour position. But the truth is, there are a lot more positions for labour and in fact, lying on a bed isn't always the best option. We spoke to Mervi Jokinen from The Royal College of Midwives to get the lowdown on the best positions for labour. Ultimately, Mervi says you decide which position is best for you. But when you get to the later stages of labour you might be tired and reluctant to keep on moving. At that point, don't be surprised if your midwife steps in to get you moving into new positions. After all, she knows best! Mervi told us that there are lots of different positions for labour, but she gave us a quick rundown of the main ones. Standing is the best position because gravity can give you that helping hand. It's also meant to help to reduce the pain. You might find that you need to lean over the bed or put your arms around your partner's neck (they should be doing something, right?). Mervi says that as a lot of women get restless during labour they can find that rocking helps. This is good because it can help you to get into the rhythm of contractions while remaining upright. There are a few pieces of equipment that can give you a helping hand while you're in labour, like bean bags, balls and chairs. 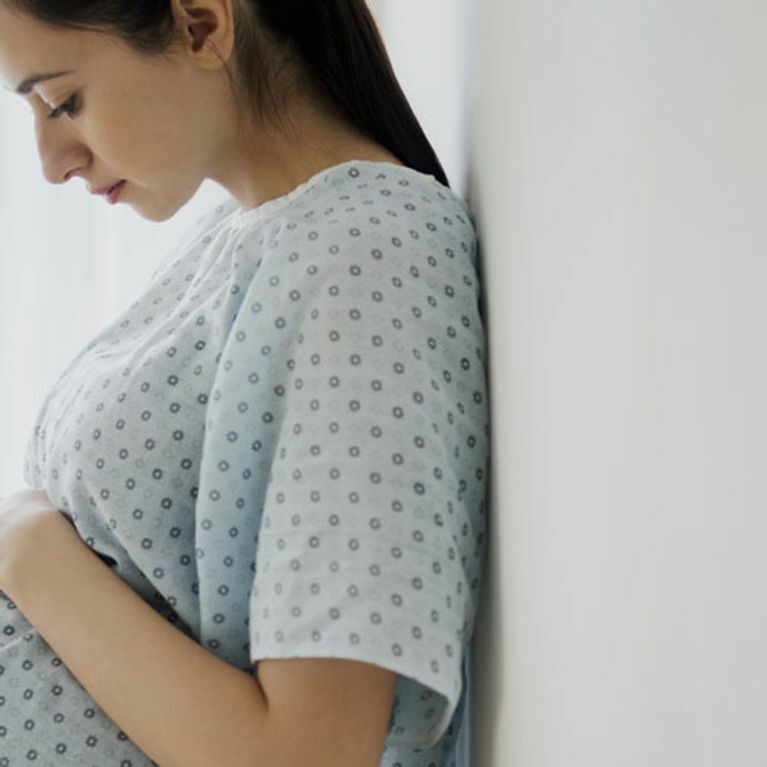 It's more and more common to spot a bean bag or a ball in birthing rooms nowadays and that's because they're great for getting into a good labour position. They're also good for those (occasional!) resting periods during labour. Lying on a bean bag with your bum in the air is a good example. Sitting upright on a chair with your legs in the air - get your partner to help out with this - can also help. Often people think that when you're in labour you need to be monitored so you must stay still, or that you have to stay in one place. That's not true, says Mervi. You can move around. One time that you might need to lie on a bed, however, is when you've had an epidural, which numbs specific parts of your body. Although modern epidurals allow you to move around more than the traditional ones, it still doesn't allow you to stand up, although you will be able to move around when on the bed. As we said, it's your pregnancy and most of the time you have to choose the positions that work best for you. But sometimes, if your baby is at a certain angle your midwife might tell you to get into a certain position. So remember listen to them!